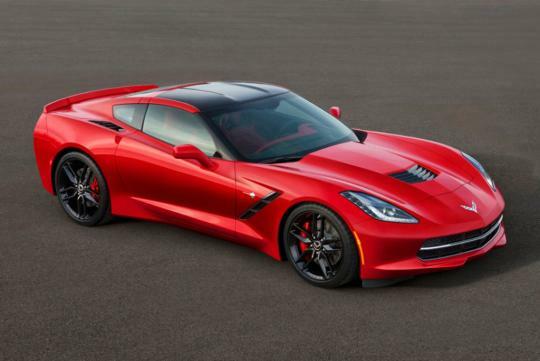 If you happen to live in South Korea and want to have your own Chevrolet C7 Corvette Stingray, it seems like your dreams might have to be put on hold for a while. Quite a while to be exact. According to GM Authority, Chevrolet Korea CEO Sergio Rocha said that the launch of the Stingray will be 'delayed indefinitely' due to Korea’s regulation on automobile noise at a recent press event for Chevrolet Korea. Given that only 12 Corvettes are imported into Korea each year, it seems pretty unlikely that Chevrolet is going to waste time and effort to come out with a solution to the problem. If Korea,don't allowed this car,i think S'pore also no chance,somemore,S'pore bound cars must be RHD. "..regulation on automobile noise..." most likely it wont happen here bcuz those noisy sports car generate more revenue for government rather than noise to environment. It's sad that we've never really had muscle cars in singapore. The cars are cheaper than Ferrari,but the road tax are the killer,look at what happen to Holden. ?How many on the road. ?This type of cars,rich man said no class,middle class can afford,but think of the road tax,all avoid.